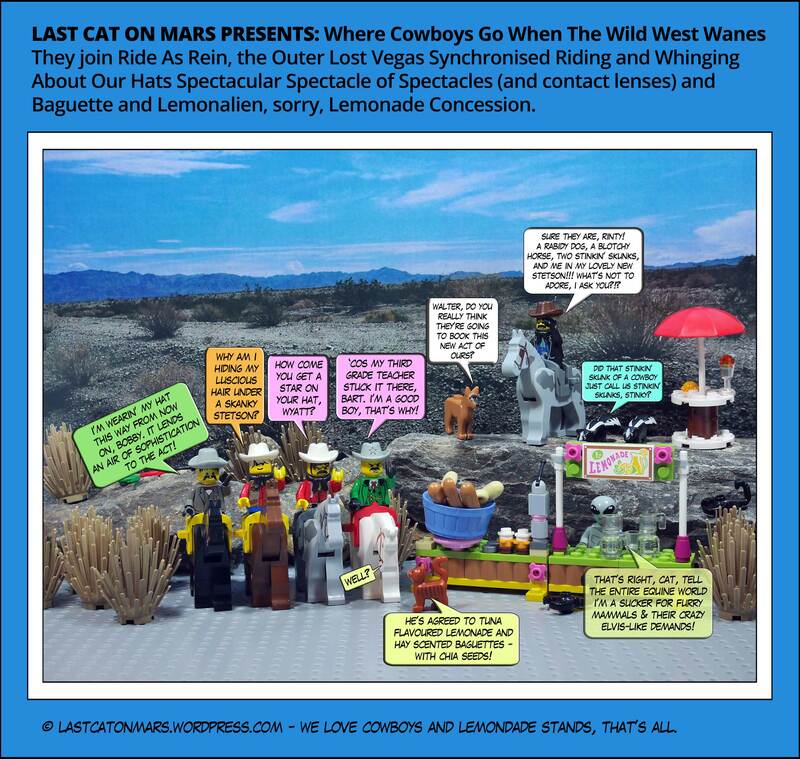 Didn’t every kitten play cowboys and aliens and lemonade stands and baguettes with their siblings and neighbouring cats of all the lovely varieties under the Martian sun? I know I did. So it was no surprise at all to find this gaggle of upstanding equines and not-terribly-wild westerners discussing the important thing in life: hats and their place in the synchronised scheme of things. Also, tuna-flavoured lemonade – the next big thing at your nearest pretentious cafe – move over coconut butter latte frappe-cino with hundreds and thousands, your time is up. 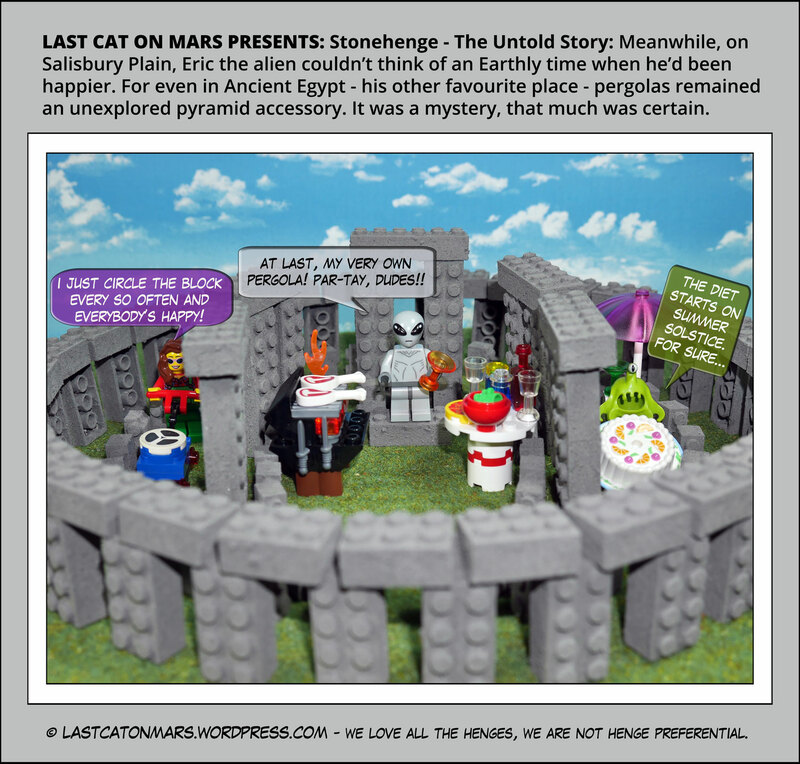 This entry was posted in Variety Show and tagged alien, baguettes, cartoon, comic, cowboys, desert, Dr on Mars, Last Cat, lego, lemonade, minifigures, skunks, stetsons on September 23, 2016 by Jay Verney. 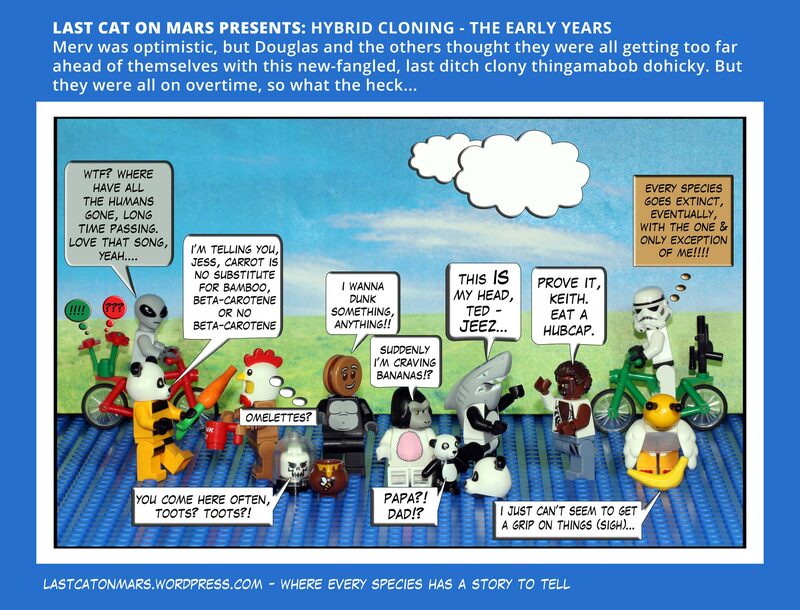 This entry was posted in Space and tagged alien, astronauts, lego, minifigures, Newt, Nostromo, Ripley, space lice, Sulaco on December 2, 2014 by Jay Verney.